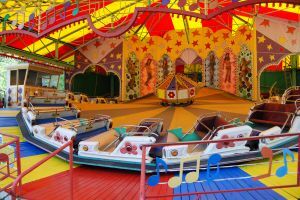 [dropcap]i[/dropcap]started this blog on the last day of 2007. i called it “the carnival in my head: sometimes it’s fun, sometimes it makes me dizzy”. for me, it’s been a place to speak honestly about issues of faith, church, life, and relationships. please don’t hold me to everything i say here. like many of you, i am always in process, learning, changing, growing. i have tried not to hold back or edit. what i’ve been trying to do with the carnival is stay as current as i can. as honest as i can. i love Jesus. but you need to know i struggle with a lot of things done in his name. inequality & injustice get under my skin. i’m mad that power gets misused & the beatitudes get tossed out the window in favor of strength & put-togetherness. i’m sad that so many people in this world are poor, lonely and ignored. i sometimes rant, i sometimes rave. mostly, i just try to share what’s on my heart. i’m glad you’re here…i hope reading helps you feel a little less alone, a little less crazy, a little more inspired, a little more brave. if you want to get a taste of what i seem to always be rambling about, check out this list first. i always appreciate emails & comments!